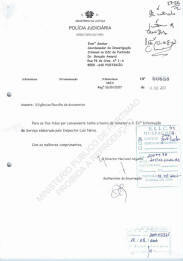 Page 2726: Cover letter 6 August submitting the attached report. 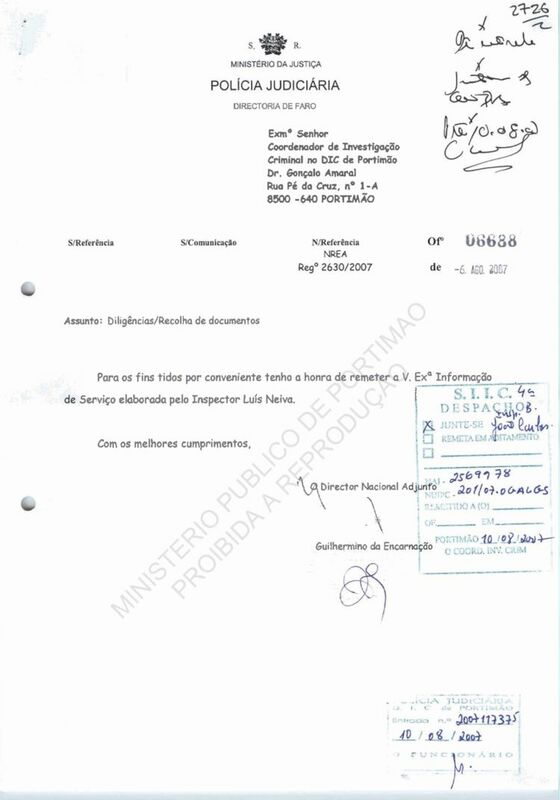 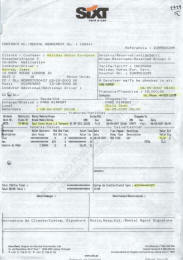 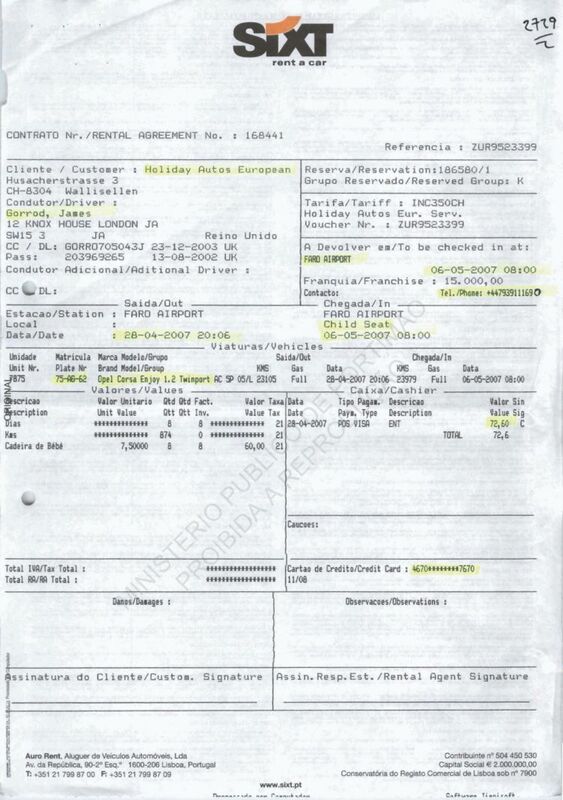 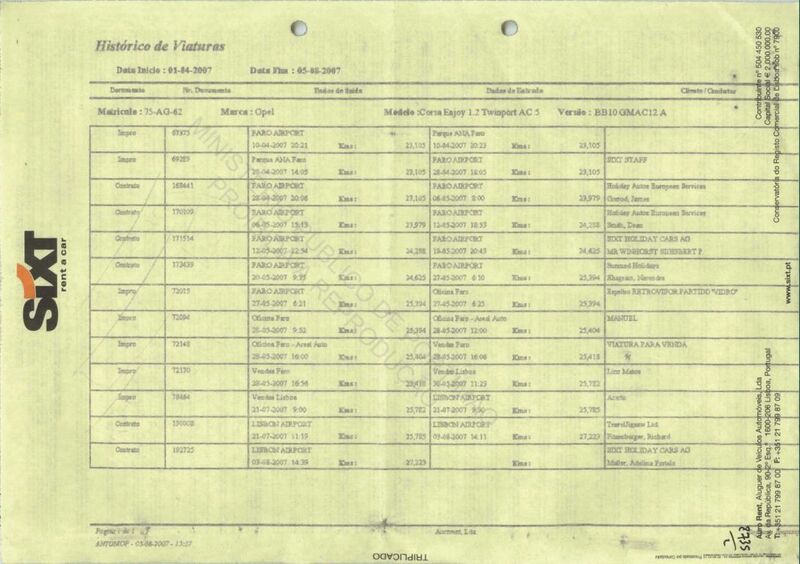 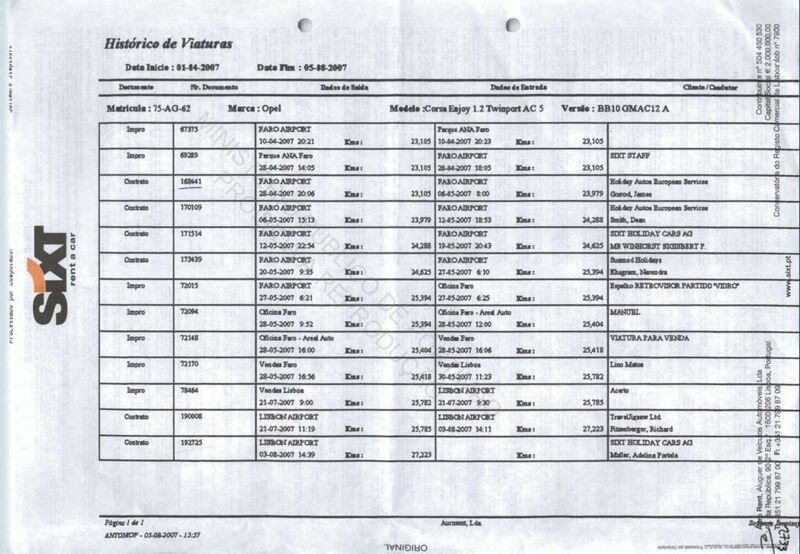 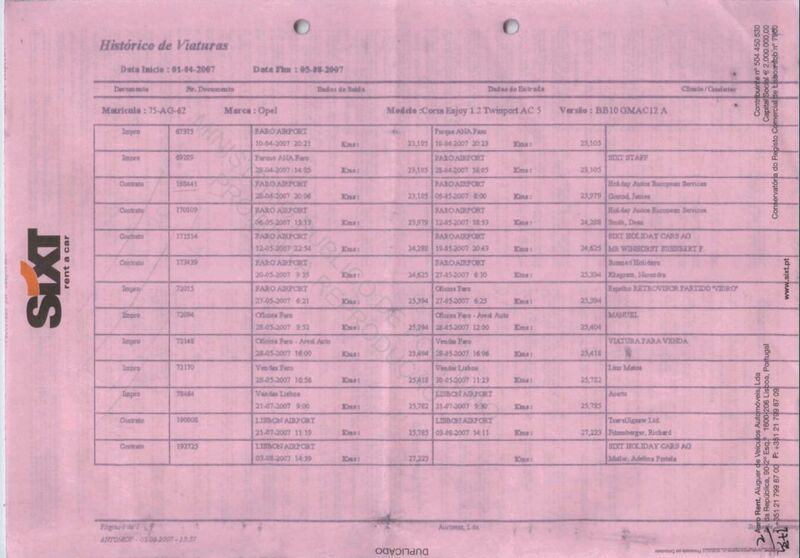 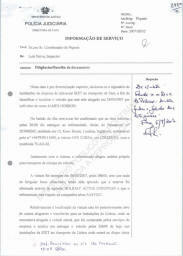 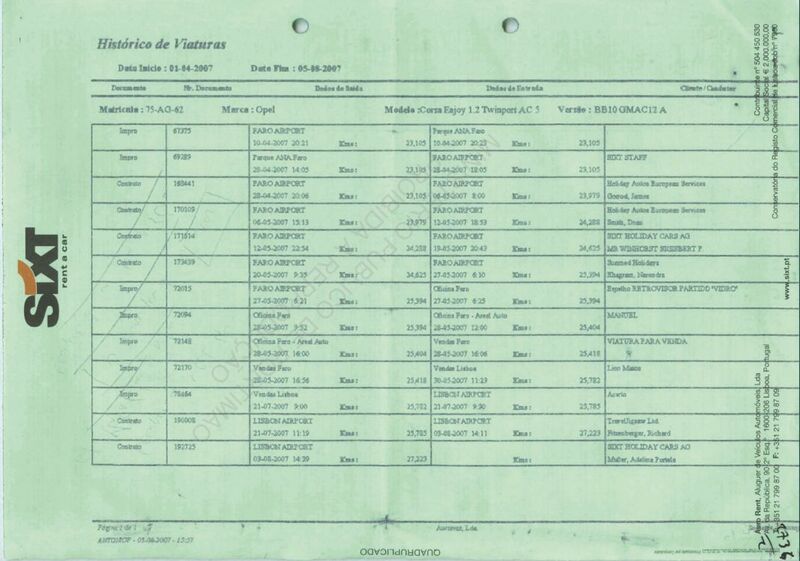 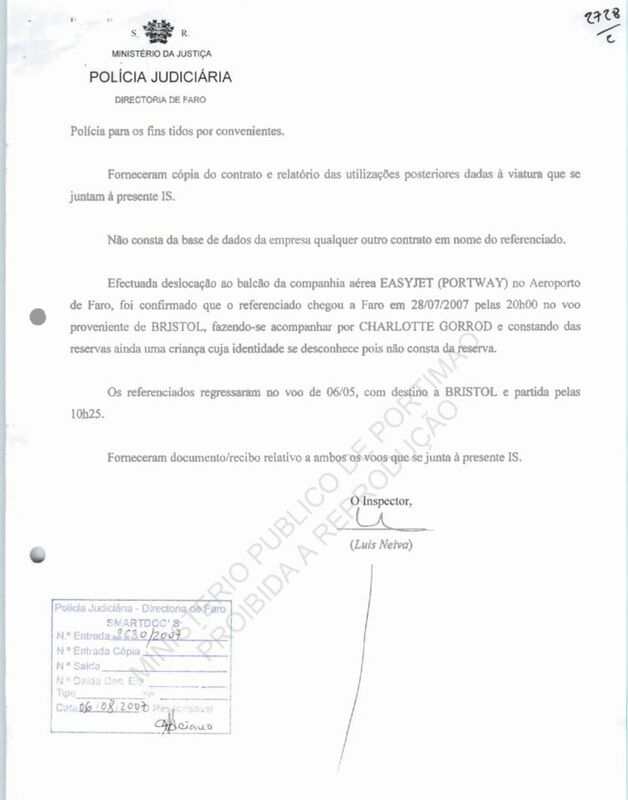 Pages 2727 to 2728: Service Information dated 5 August by Inspector Luis N.
rented on 28 April 2007 by an individual named James Gorrod. 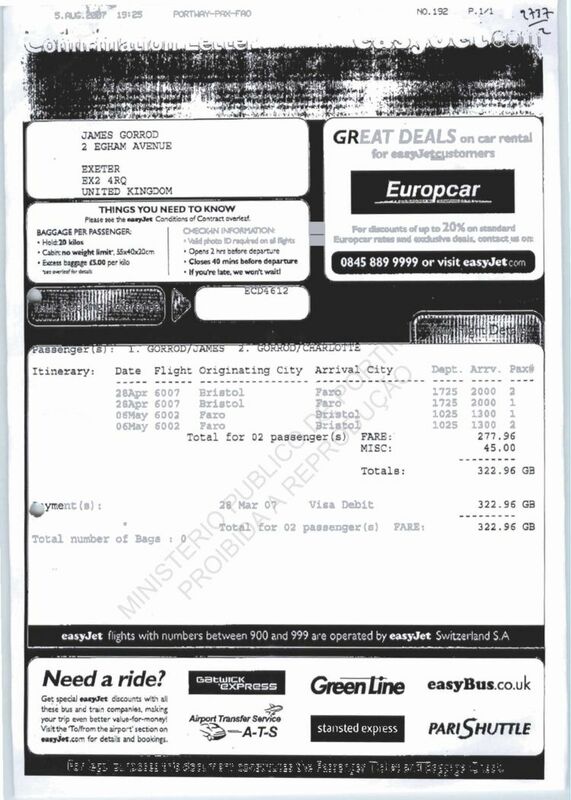 the referenced person will have travelled on Easyjet airlines. 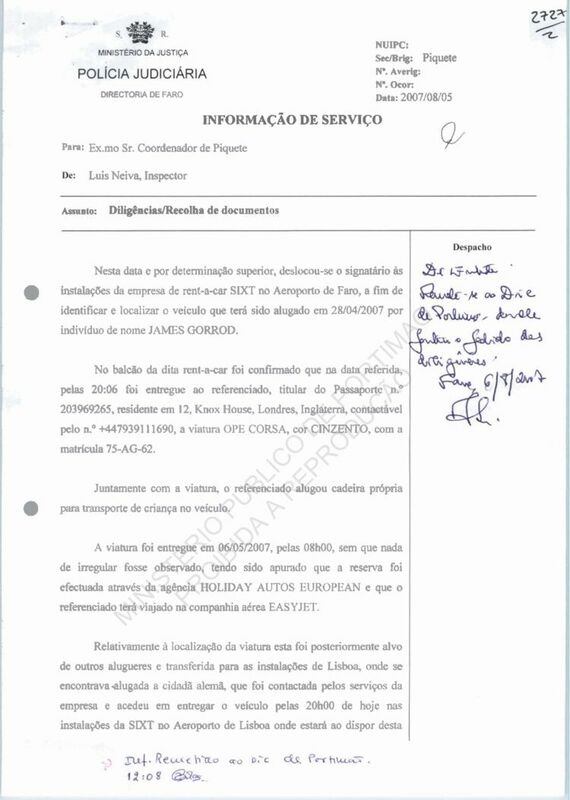 Lisboa airport where it will be available to this police force for our convenience. 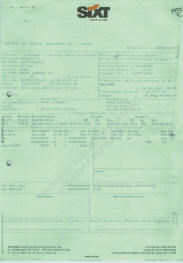 [documents] are attached to this Service Information document. 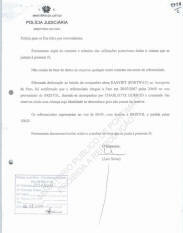 No other contract in the name of the referenced person was recorded in the company database. 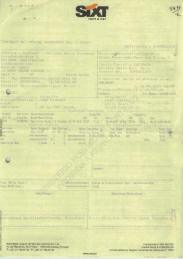 identity is not known because it is not recorded on the reservation. 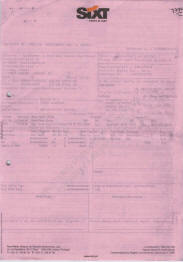 The referenced people returned on the flight of 6 May, destination Bristol, and left at 10h25. 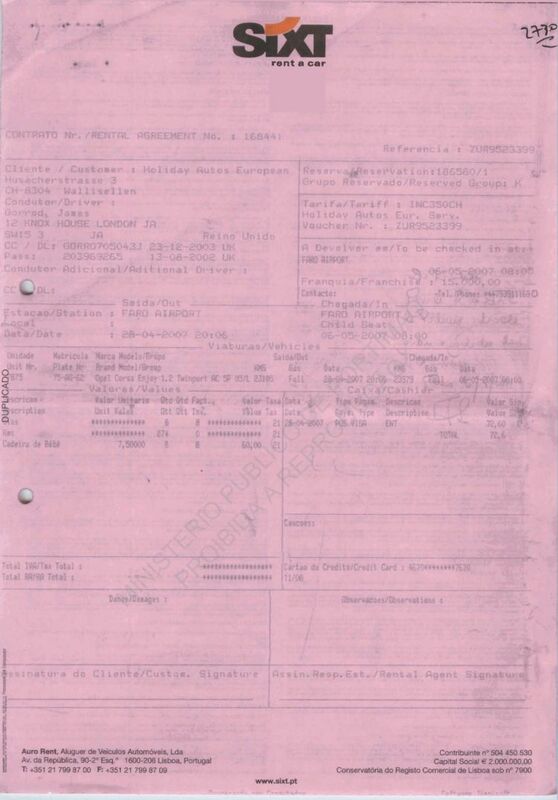 The document/receipt relating to both flights were furnished and are attached to this document. 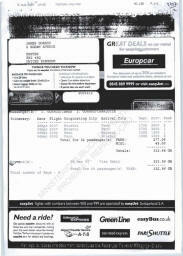 Pages 2729 to 2737: Documents from SIXT and Easyjet.